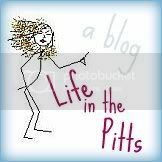 Life in the Pitts: I am so ashamed. I think McDonalds should be part of the food pyramid!!! Love it. You know I saw that and thought "Who on earth is going to buy it?"